Streamlined Visa Processing (SVP) arrangements are now extended to 55 new education providers, following the implementation of a legislative instrument by the Department of Immigration and Border Protection. The new Streamlined Visa Processing guidelines will allow international students studying with “low-risk” providers to be assessed against Assessment Level 1 criteria, even if their respective home countries belong to Assessment Level 3. Moreover, students attending an SVP-eligible education provider will not have to provide as much evidence of their intention to study as was previously required. Minister for Immigration and Border Protection, Scott Morrison, who announced the intention to allow SVP to these new providers earlier this year, stated that it "will enable eligible education providers in the Vocational Education and Training (VET) sector and higher education sector to directly access SVP. This will make studying in Australia even more attractive to overseas students, while at the same time ensuring that immigration risk is appropriately managed." Minister for Education, Chris Pyne said that these changes will substantially benefit Australia’s high quality VET and higher education sectors, supporting the sustainable growth of Australia’s international education industry while providing a vital boost to the economy. "The number of international students seeking to study in Australia continues to rebound positively, with an increase of over 27 per cent in the number of visas granted to offshore applicants in the 2013-14 programme year," Minister Pyne said. "Extending SVP arrangements will help capitalize on these trends, reducing red tape and helping to attract further students from overseas." A new analysis report submitted by Independent modelling commissioned the Migration Council of Australia discussed the danger of decreasing the number of migrants coming to Australia. They show a deep positive impact on not only population growth, but also labor participation and some sectors, such as wages and incomes of employment depending on national skills and net productivity. "Migration is central to Australia's future prosperity", this is the conclusion of the impact of migration on key economic after almost a decade of study. The analysis predicts Australia's population will be 38 million by 2050 and Australian migration will contribute around 1.6 trillion to GDP. Furthermore, migration can add 15.7% to the country's labor force participation rate, 21.9% for real wages after tax for low skilled workers and 5.9% of GDP per capita growth. The analysis also shows that if Australia doesn't have migration program, its population in 2050 would be 24 million and the economy will be less exciting. 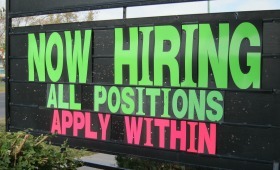 The report said that: "In the next 35 years, migration can lead to increased employment growth. Because the age of migrants focuses on the prime working sector and they have higher education so they can have a positive impact on employment rate." By 2050, the percentage gain in employment of 45.1% outstrips the population gain of 37%. Further, migration will ensure Australia remains a highly skilled nation, as it will have led to a 60.4% increase in the population with a university education,’ it says. In fact, migration helps save the expense in education, transfer payment and the infrastructure of government network. Immigrants, who enter with an Australian student visa will pay the full cost of their education. Moreover, the government budget will be saved by migrants compared with the subsidy offered to Australia citizens. 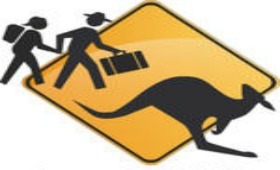 The report expresses that migration will push up Australia's economy in the future. It is better to keep active policy and be ready to adapt to any changes in the global situation. According to Migration Council chief executive Carla Wilshire, the research also rejects the opinion that migration reduces the opportunity for Australians to find jobs or impacts on unemployed. The Federal Circuit Court has today ordered a restaurant and its owner to pay $186,000 in wages withheld from a man who was trafficked from India under a sham 457 visa arrangement and held in forced labour, working 12 hours a day, seven days a week, for 16 months. The Court described a façade built upon sham documents by Mr Trivedi and his company, to deceive the Department of Immigration, the Australian Taxation Office and the Court, in an effort to convey the illusion of a legal employment arrangement. False wage books and time records were created by Mr Trivedi, and a false bank account controlled by Mr Trivedi was opened in the Mr Ram's name. A new pilot visa programme has been launched in January, 2015 to make it easier for business and tourist visitors from India to apply for a visa by allowing them to apply online for a visa to travel to Australia. Temporary Graduate visa (subclass 485) - Graduate Work stream. the Training and Research visa (subclass 402). Nurse Researcher (ANZSCO 254212): ANMAC. 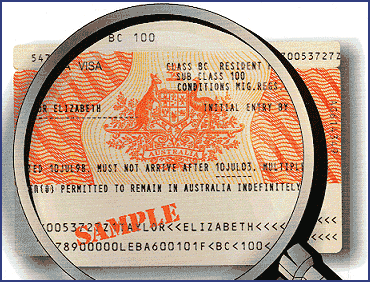 The Visa Evidencing Charge (VEC) will increase from $70.00 to $150.00. 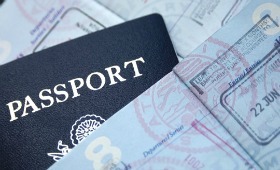 The Visa Evidence Charge is the cost of having a visa label put into your passport. Visa Evidencing is generally not required these days because Immigration can verify your status electronically. The visa subclasses exempt from the VEC will be reduced with 12 visa subclasses being removed. Clarify that a student visa applicant must declare all family members in their application or before their student visa is granted. If an undeclared family member applies for a student visa on the basis of family relationship with the student, they will be ineligible for the grant of the visa, except where they have become a family member through marriage or birth. Please note this does not apply to people who became family members after you lodged your initial student visa application - for example if you get married or have a child after you apply. If you lodge prior to 1 July, there is no expiry date for skills assessments. The change affects all applications lodged on or after 1 July 2014. Please contact us urgently if you wish to lodge prior to this. Substitute all relevant references to the Australian Agency for International Development (AusAID) with equivalent Department of Foreign Affairs and Trade (DFAT) terms, as AusAID no longer exists as an executive agency and its functions are now administered by DFAT. Make technical amendments to clarify the references to penalties in the Infringement Notice requirements for alleged breaches of the Civil Penalty provisions. Update references to instruments made by the Minister which set out information relating to payment of fees in a foreign country and using a foreign currency. Update references to the social welfare payments and associated codes that qualify an applicant for concessional application fees when applying for citizenship by conferral. Expand the information that may be included on the back of a notice of evidence of citizenship to include the date or dates that previous notices were issued. The information on the back of a notice is used to assist other agencies in conducting identity verification. Repeal an obsolete note in Schedule 2 to the Citizenship Regulations that provides that in limited circumstances dependants may be listed on the back of a parent’s notice of evidence of citizenship. 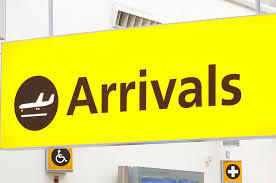 There is no official announcement as yet but it is quite likely that application fees for most visa types will also rise by approximately 5% from 1 July 2014. Reducing processing time for some visa applications - processing times for Permanent Skilled Entry visas (ENS/RSMS) have significantly shortened in recent weeks. ENS applications are currently being allocated in approximately 8 weeks and RSMS applications in 2 weeks. 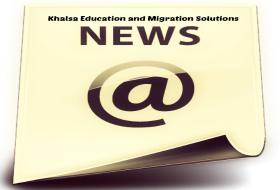 Please contact Khalsa Education and Migration Solutions if you would like advice on your situation and how the above changes would affect you. The following information has been provided by the Business Innovation, Occupation and Employer Sponsor Policy Section. Following amendments to the Migration Regulations 1994, from 1 July 2014, if a skills assessment is mandatory as part of a visa application, it will only be valid for a period of 3 years from the date of issue, unless a shorter validity period is specified on the assessment. PAM documents for the above visa subclasses have been updated to reflect this change. Today Australia reached a significant milestone, marking six months since the last successful people smuggling operation. Operation Sovereign Borders is working. The boats are stopping and this is saving lives. Stopping the boats is saving the Budget $2.5 billion over the next four years – around $50 million a month. We need your help to share the message that Australia’s borders are secure again. 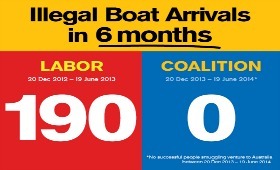 Under Labor’s watch, 190 boats arrived in the equivalent six month period last year. Combating the work of people smugglers is an ongoing effort. The Government will remain vigilant in ensuring that our borders remain strong. Help us let all Australians know that we are honouring our commitment to build a safe and secure Australia. According to the Assistant Minister for Immigration and Border Protection, Senator the Hon. Michaelia Cash, chefs, bricklayers and wall and floor tilers are added to the SOL to help meet the needs of the Australian economy. Minister Robb said the addition of chefs to the SOL reflects that the occupation is in short supply, coupled with strong growth projected in the café and restaurant sector. “The inclusion of chefs, as well as the further inclusion of building and construction occupations will ensure Australia can fill the workforce needs of the next wave of tourism infrastructure,” Mr Robb said. “We are seeing investment interest from a number of international hotels groups. Luxury high-yield Banyan Tree resorts visited Queensland recently. “These developments will need a tourism and hospitality workforce that will ensure Australia can compete at the high-value end of the tourism sector – including international quality chefs,” he said. Minister Cash said the Australian Workforce and Productivity Agency (AWPA) provide annual recommendations on the SOL to ensure it responds to Australia’s changing skill needs. The SOL is used for people applying for the independent or family sponsored points tested visa or temporary graduate (subclass 485) graduate work stream. Before prospective migrants can apply for independent skilled migration, they must submit an expression of interest via SkillSelect. As a result, Chefs, Bricklayers and Wall and Floor Tilers will now be able to apply for the above work visa types. Contact Keams to know more. 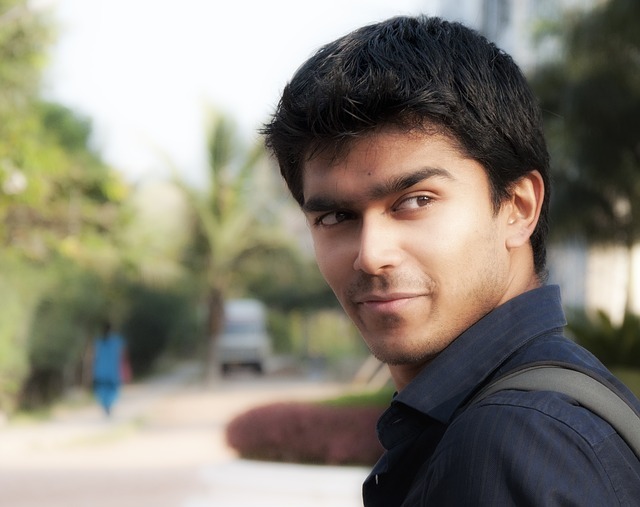 You should carefully consider all the costs involved when applying to study to Australia. The Department of Immigration and Border Protection (DIBP) requires evidence that applicants for a student visa have sufficient funds to complete their studies. Tuition fees are not your only expense – you may need to find accommodation, travel to and from university, buy books, pens, paper, and think about food and entertainment, such as joining clubs. To help you plan and prepare your budget, these tables from Latrobe university provides estimated costs of living and studying at their each campus. The costs will vary depending on your accommodation type, lifestyle and other factors. Assumes shared with two others. Bond is usually refunded at the end of your stay provided no money is due, you have given the required period of notice, and that you have caused no damage to the property. Note that some private student accommodation providers will deduct a cleaning charge at the end of your stay. Transport for education and work purposes. Placement fee for Homestay service. Includes non-refundable costs of social and transition programs and other miscellaneous fees. This cost may be lower for students who are in-residence for only one semester or who commence at Semester 2 (July). Limited on-campus accommodation is available at Shepparton. 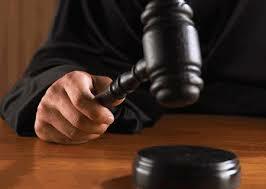 Tenants are legally liable to pay rent for 52 weeks when signing a lease for one year. This includes facilities, services and internet connection and usage. This cost may be lower for students who are only in-residence for one semester or who commence at Semester 2 (July). Catering is available at all on-campus accommodation in Bendigo for an extra A$130 per week. Includes breakfast, lunch and dinner Monday to Thursday and breakfast and lunch on Fridays. Multiple accommodation options are available at Bendigo. In addition to The Units, there are the new Hillside Apartments, Orde House and The Terraces. Costs will vary depending on your lifestyle. The following table shows estimated average costs for a couple with one child, living in a two-bedroom unit/house and a child to study at government school. Below is a list of 8 important things you should do as soon as possible after arriving in Australia. Tick them off as you do them. It is one of your most important forms of identification in Australia. Your TFN is valuable. A Tax File Number (TFN) is a unique number issued to you by the Australian Taxation Office to assist the Tax Office administer tax and other Australian Government systems. limit the amount of tax you pay on interest of dividends earned if you have savings accounts or investments that earn income. Do this first. To receive an income in Australia, you need a Tax File Number (TFN). Income includes wages or salary from a job, payments from the government, and money earned from investments including interest on savings accounts. 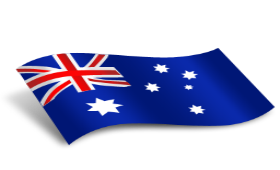 In Australia, you can telephone the Australian Taxation Office (ATO) and have an application form sent to you. Alternatively, you can apply for a TFN at the ATO website 24 hours a day, 7 days a week. Forms are also available from ATO or Centrelink shopfronts which are listed in the White Pages telephone book. Welcome to Medicare - Australia’s universal health care system. Medicare ensures that all Australians have access to free or low-cost medical, optometrical and hospital care while being free to choose private health services and in special circumstances allied health services. You can choose the doctor who treats you for out-of-hospital services. As we all know, A bank account is a financial account with a banking institution, recording the financial transactions between the customer and the bank and the resulting financial position of the customer with the bank. The best bank in Australia is "The Commonwealth Bank" and the Melbourne CBD branch in Elizabeth-Bourke Street Intersection is famous for providing its great services to its Clients. According to Australian Government Website www.immi.gov.au, "In Australia, most income including salary or wages and government benefits are paid directly into a bank account. You should open a bank account within six weeks of your arrival, as you usually need only your passport as identification. After six weeks you will need extra identification to open an account." Centrelink, now Department of Human Services is a Federal Government Statutory Agency which provides financial support to families and individuals to assist them to maintain independence. Financial assistance is given to students by way of income-tested schemes such as Youth Allowance, ABSTUDY or Austudy. 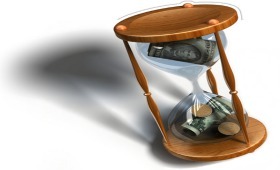 These allowances are usually paid fortnightly during the period of eligibility. It can also be beneficial to book an appointment to see the Centrelink Social Worker or Disability Officer. They can be a useful resource in navigating a tricky system as they can do a lot of the groundwork for you. On 1 July 2014 the Regulation 5.19 PAM3 which provides policy advice concerning the Employer Nomination Scheme (ENS) (subclass 186) and Regional Sponsored Migration Scheme (RSMS)(subclass 187) nomination legislation will be updated. 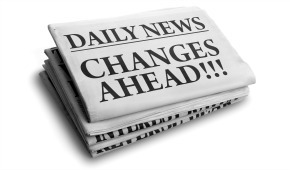 A major change to the provided policy advice will be the alterations made to the requirements under the Temporary Residence Transition stream when demonstrating two years’ work with the same employer. The department has determined that the previous policy which utilised section 50AAA of the Corporations Act 2001 was too restrictive, particularly where businesses have undergone change in the form of restructures, takeovers and sales. As a result, the department has determined that on 1 July 2014 policy advice will be updated and will instead read as is attached to this email. Please note that the Regulation 5.19 PAM3 excerpts attached will not be published on LEGEND until 1 July 2014 and will therefore only come into effect from 1 July 2014. The updated policy advice will apply to all applications on hand at 1 July 2014, as well as all applications lodged from this date onwards. The following information is taken from the DIBP annual report 2012-2013. 2. Rounded numbers may differ from numbers appearing elsewhere in the report. 3. 4000 places allocated under Expert Panel Partner are reported separately (refer to Program 1.1 Overview). 4. Figures reflect changes in data entry processes and data quality management throughout the year. A major labour shortage is looming for the horticultural sector in Australia's north and growers want the Federal Government to step in and help by expanding the Seasonal Worker Program. Northern Territory grower Ian Quinn says the mango industry is particularly worried about a lack of pickers for this year's season. "This year we've had very few enquires for work and we're very concerned as to where the labour is going to come from," he said. Some in the industry have blamed what they say were Working Holiday visa scheme changes for the drop-off in backpacker labour, but the Federal Government says there have been no recent changes to the system. A spokesperson for the Federal Immigration Minister Scott Morrison told ABC Rural that despite calls from the tourism and hospitality industries to expand the Working Holiday visa scheme to people working in those industries, the government has 'no plans to restrict the access to this program for the agricultural sector'. "Any changes to the regional Australia or specified work definitions would need to be carefully considered, taking into account the need to balance the wider economic benefits that may come from expansion, and the potential impacts on the agriculture and other industries currently supported by the program," the spokesperson said. "Currently, holders of first Working Holiday visas who have undertaken three months' specified work in agriculture, mining or construction in regional Australia are eligible to apply for a second Working Holiday visa. "Tourism and hospitality work is not included in the current definition of specified work." Mr Quinn believes the key to avoiding the 'worker crisis' in northern horticulture is to expand the Seasonal Worker Program to include South East Asian countries like Vietnam and Thailand. It's an idea that's got the backing of the Australian Mango Industry Association (AMIA), the NT Farmers Association (NTFA) and the Northern Territory's Vietnamese Horticultural Association (NTVHA). Mango grower Tou Ruchkaew says the Northern Territory has a large population of Asian growers, and being able to source workers from their home countries would be a win-win. "We'd be targeting people in rural areas and farmers (of South East Asia), and because we are counter-seasonal to them, when they finish their rice farm (harvest) or taro harvest they can come here for eight to twelve weeks and probably make the most money they've ever made in their lives," she said. "They appreciate the money, work hard and, importantly, they'll come back next year." "We can go and interview them ourselves and be responsible to make sure they go home after the work." Wayne Quach, from the NT Vietnamese Horticultural Association, says his members have 'serious concerns' about getting enough workers for the harvesting of various crops and would embrace changes to the Seasonal Worker Program. "To get more workers, I think it would mean better quality produce, better for the management team, there's safety benefits, and it will give Asian growers the opportunity to expand the business. "But right now all we focus on is how we can harvest and how can we find the staff and get them going." The Seasonal Worker Program has been running since 2012 and currently allows farmers to employ workers from eight Pacific Island countries and Timor-Leste, but only when they cannot find enough local workers to meet seasonal demands. The Migration Act 1958 and the Migration Regulations specify which decisions the Tribunals can review, who may seek review of a decision, how an application for review must be made, the time limits within which applications for review must be lodged, and whether an application fee is payable. The rules vary depending on the type of matter. The MRT and RRT application forms contain detailed information about lodging an application for review, who can apply for review, and the time limits. These are available from the MRT- RRT website or from any registry. Form M1 is the MRT application form for persons not in immigration detention. Form M2 is the MRT application form for persons in immigration detention. Form R1 is the RRT application form. As of 1 July 2014 the only valid MRT and RRT application for review forms are those with design date 03/14 or those generated by the tribunals’ online application system. 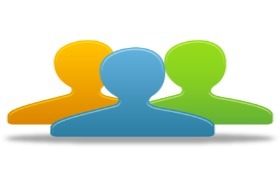 Updated versions of the M1, M2 and R1 application for review forms were released on 12 March 2014 (design date 03/14). Further information can be found at the tribunals’ website. The former Labour government’s overhauled business migration program saw a 90 percent fall in visa grants to business migrants due to unrealistic criteria. 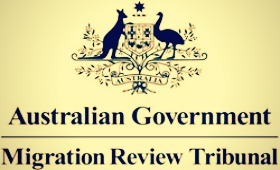 A joint parliamentary inquiry, essentially set up to study the failure of Business Innovation and Investment Program (BIIP), and make recommendations, has heard the program is “plagued by slow processing, unpredictable outcomes and selection criteria that deter good candidates in a search for ideal, younger migrants”. The Australian reports that only 652 visas were granted over the first 21 months of the BIIP scheme, since its introduction in 2012. That compares with 6790 in the final year of the system it ­replaced, the Business Skills ­Program. The department, in its submission to the inquiry, indicated the plunge in applicants “will make it increasingly difficult to maintain the number of business migrants as a proportion of the overall permanent migration program”. “While there are sufficient ­applications under the previous business skills program to guarantee the 2013-14 program, the application rate may put the delivery of the 2014-15 program in question,” the submission read. Sydney legal firm Immigration Solutions Lawyers, in its submission, blamed the “enormous decline” in applicants to “overly onerous” selection criteria that strive for an unrealistic ideal. The “venture capital entrepreneur” stream — for migrants who have secured $1m from a local firm and have the endorsement of a state or territory government — has attracted only one applicant since July 2012. That person was not successful as of March 31. Brisbane lawyer Dolf Van Zyl said in a submission “the current program is a dismal failure and not reaching any objects whatsoever”. The Australian Maritime Safety Authority (AMSA) is urging people to beware of a global scam offering overseas residents a Maritime Security Identification Card (MSIC) and Australian visas to gain jobs with cruise companies. Scammers have been targeting people in several countries via emails offering job opportunities with cruise lines operating in Australia, and a relevant visa. AMSA became aware of the email scam in October last year and a number of people have reported being targeted by the scam or have been scammed. The email scam offers job opportunities with bogus cruise lines, including Silver Cruise and Princess Line Australia, operating in Australia and a relevant visa on the completion of paperwork of the inaccurately named 'Australia Maritime Security Identification Card' (AMSIC). Ship Safety Division General Manager Allan Schwartz said the form sent to those responding to the email is fraudulent but has fooled some with a reasonably sophisticated look. “The form has AMSA’s logo and name at the top and requests a payment, along with scans of passport and identity cards to apply for the identification card,” Mr Schwartz said. “AMSA does not issue Maritime Security Identification Cards. The scam has also implicated other Australian Government agencies, non-existent overseas embassies and a local union in a bid to appear authentic, but may come in various forms. Anyone who receives the scam email or has fallen victim to the scam should contact local police authorities. Suspected scams should be reported toSCAMwatch, an independent website run by the Australian Competition & Consumer Commission (ACCC). See the Department of Immigration and Border Protection website for information about working in Australia. The Department of Infrastructure and Regional Development has information on how to apply for a Maritime Security Identification Card (MSIC) and offers a list ofissuing bodies that provide them. Further important information on scams is available on our website.